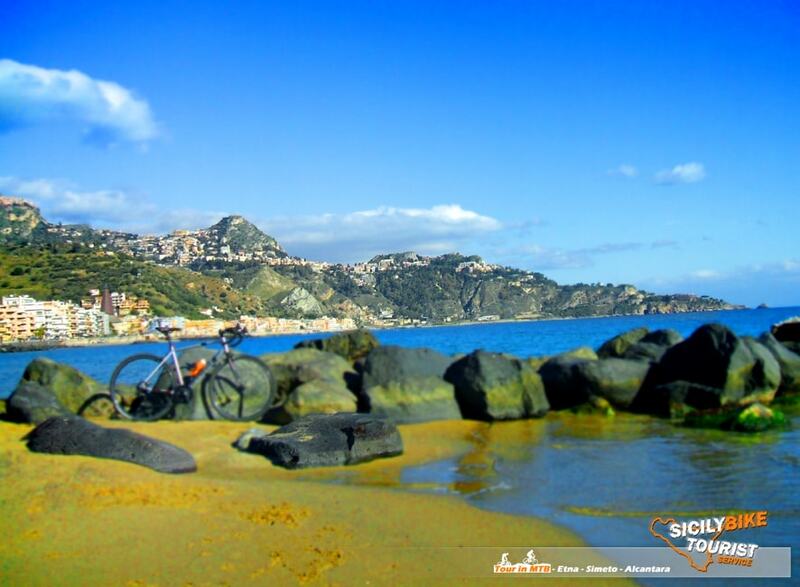 Cycling Tours in stages, between the streets and the dirt roads of our beloved Sicily. Once again… we at Sicily Bike Tourist Service, we have diversified, and we have deliberately made these cycling tours unique and out of the ordinary schemes road cycling, inserting in the various stages, off road sections, dirt roads, lava sand and pavè… all this is the result of a research that has left nothing to chance, that has allowed us to enhance the old roads of a Sicily far away in time. 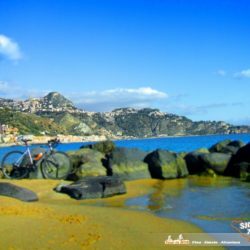 Eastern Sicily awaits you, full of typical Siculo landscapes and folklore… you can choose according to your skills cycling, physical and your times… the various itineraries that we will propose, from 2 to 5 stages. 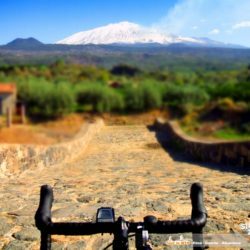 Starting from Catania by bike, you can visit: Taormina, the Alcantara River, Mount Etna, and the Simeto river valley, not neglecting the art and architecture that has made and still today makes our Sicily unique, the all thanks to the various colonizations that have influenced our historical, artistic and culinary past…Well yes! Sicily is also good food and good wine… arancini, pasta alla norma, caponata, fresh fish and desserts… many desserts, cassata, cannoli and all that distinguishes our love for the table. Type of route: We have deliberately tried to use as little as possible main roads and state roads, giving preference to secondary roads, old roads in pavè and off road (of medium and low difficulty), to keep us, where possible, out of the chaotic traffic automotive. Stage 1: Catania, Aci Trezza, Riposto, Giardini Naxos and Taormina. Km 55 (approx.) – Difference in height uphill 550mt (approx) – Difference in height downhill 350mt (approx). Road Type: 80% Road – 20% Off Road, Pavè, Dirt and Gravel Road. 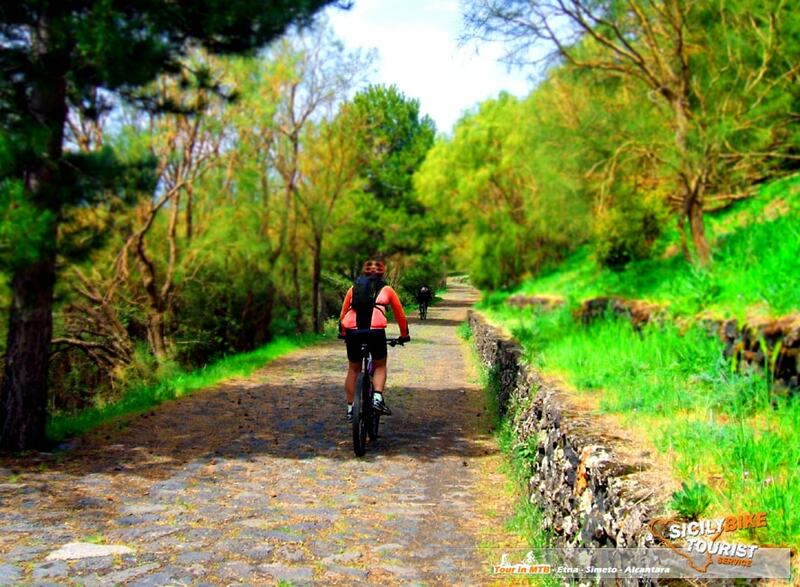 in the Acireale direction, here there will be stretches of cobblestones and uneven ground, and then continue to cycle between secondary roads and shorelines, with small off-road entrances, crossing the small marine and tourist villages that line the Ionian coast in all relax, everything until you get to Taormina. End of the stage: free time, dinner and overnight. Stage 2: Giardini Naxos, Gaggi (River Alcantara), Piedimonte Etneo, Zafferana Etnea and Catania.Km 70 (approx.) – Difference in height uphill 1.150mt (approx) – Difference in height downhill 1.310mt (approx). Road Type: 70% Road – 30% Off Road, Pavè, Dirt and Gravel Road. towards the river Alcantara, using paved roads and off road, we will cross the river, enjoying its scenery and its impetuous spectacle, crossed the river… we will go towards Zafferana Etnea, and here the stage will begin to take substance, and the real first slopes will take shape … this is definitely the part of the whole tour that will put you to the test, but the beauty of its roads lined with vineyards and small entrances in pavé and off road, will surely make you forget the effort. 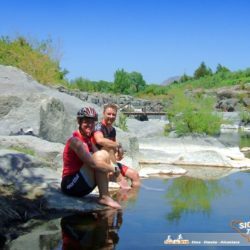 Once in Zafferana Etnea we will enjoy a just relax before going down towards Catania. For a greater number of participants, quote on request. It includes: MTB Guide for every day of Tours, Baggage transport from structure to structure and logistic assistance. We have deliberately chosen not to include meals and overnight stays at the price listed above, so as to leave the customers free to customize the tour according to their needs. 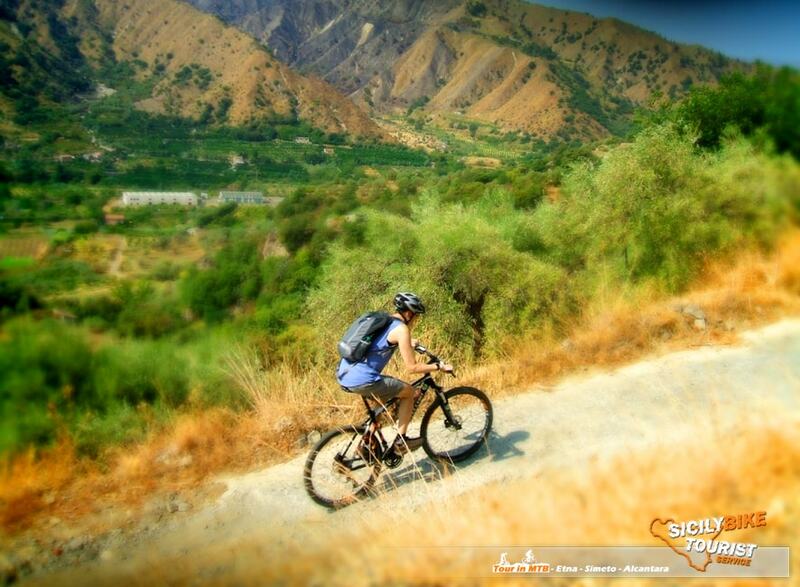 Sicily Bike Tourist Service can offer you various solutions and various estimates. By entrusting to our knowledge, we will guarantee you a saving that you will hardly find online in all inclusive proposals. We will propose you structures selected to meet your needs. Even for meals, the customer will be able to choose the various solutions that we will propose. Stage 1: Catania, Aci Trezza, Pedara, Nicolosi and Etna – Silvestri Craters(1.900mt altitude). Km 60 (approx.) – Difference in height uphill 2.200mt (approx.) – Difference in height downhill irrilevant. in the direction of Aci Trezza, there will be small deviations in off road and on paved roads, abandoned the coast now the game will be really hard, with a continuous climb up to 1.900mt of Silvestri craters. Small off road sections, and some small climb at 25% slope will really put you to the test. 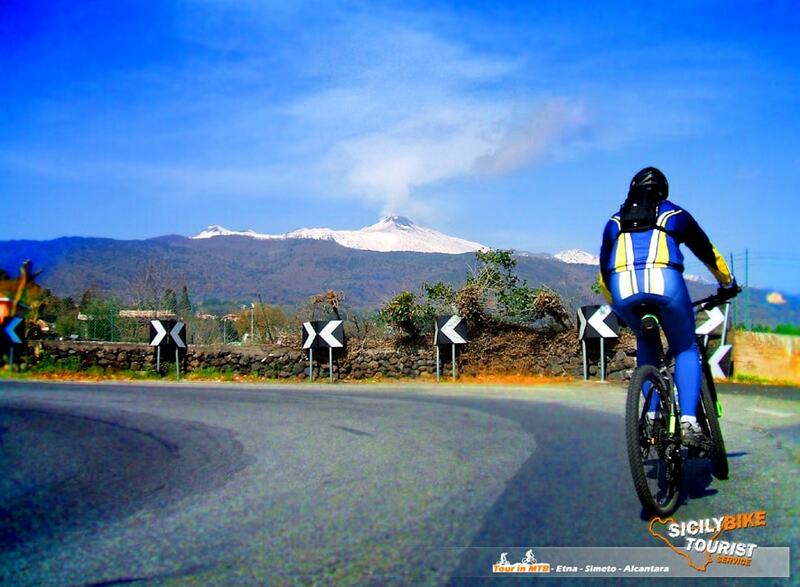 Stage 2: Etna (about 1.900mt altitude), Galvarina shelter, Adrano, Simeto River Valley and Catania.Km 95 (approximately) – Difference in height uphill 640mt (approx) – Difference in height downhill 2.500mt (approx.). Road Type: 30% Road – 70% Off Road, Pavè, Dirt and Gravel Road. Small description: After the fatigues of the first stage, the second stage will leave you breathless … from the Etna, through its park, we will descend on the off road along the southwest slope of the volcano, between landscapes and truly unique trails, all until arriving in the town of Adrano, from there along the asphalt transfers, we will go to intercept the river Simeto, where other “Trail” await us and other scenarios will make this stage enjoyable and truly unforgettable. Stage 1: Catania, Aci Trezza, Pedara, Nicolosi and Etna – Silvestri craters (1.900mt altitude). 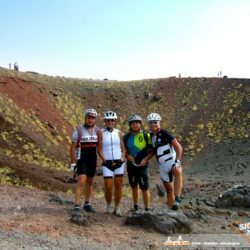 Small description: Starting from the historic center of Catania, we will go from the shoreline towards Aci Trezza, they will not be missing small deviations in off road and on paved roads, abandoned the coast now the game will be really hard, with a continuous climb up to 1.900mt altitude of the Silvestri craters. Small off road sections, and some small climb at 25% slope will really put you to the test. 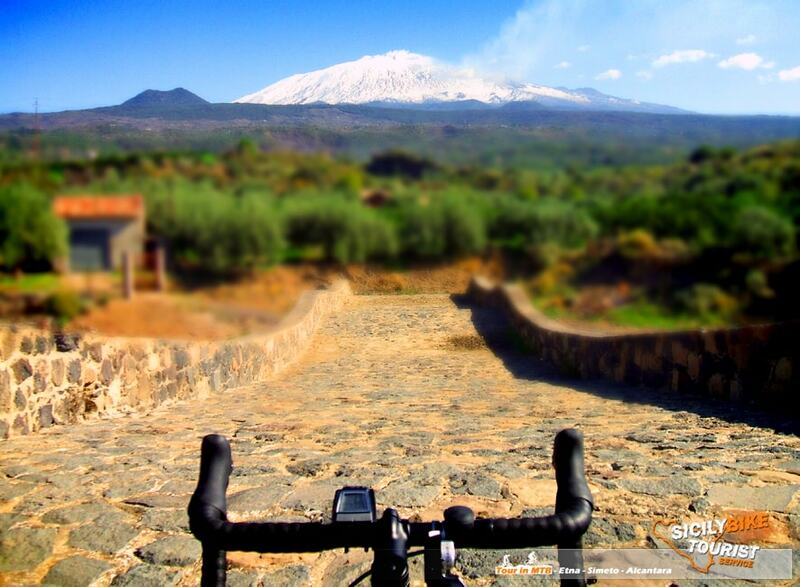 Stage 2: Etna (about 1.900mt altitude), ascent and descent to the summit craters (about 3.300mt). Km 10 (approx.) – Difference in height uphill 1.300mt (approx.) – Difference in height downhill 1.300mt (approx.). 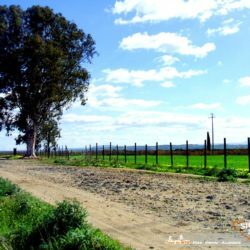 Road Type: 0% Road – 100% Off Road. 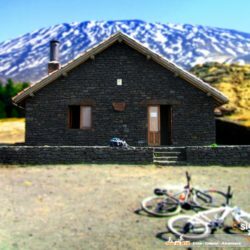 Small description: The real purpose of this stage will be to visit the summit area of the Etna volcano, in various solutions and methods.For this stage various possibilities can be evaluated: MTB, E-MTB, Trekking, Cable car and Bus for the summit craters, accompanied by a volcanological guide (extra) and after the positive volcanological bulletin. Only one thing we can guarantee you… any form or way you will take to do it, the show will be guaranteed. 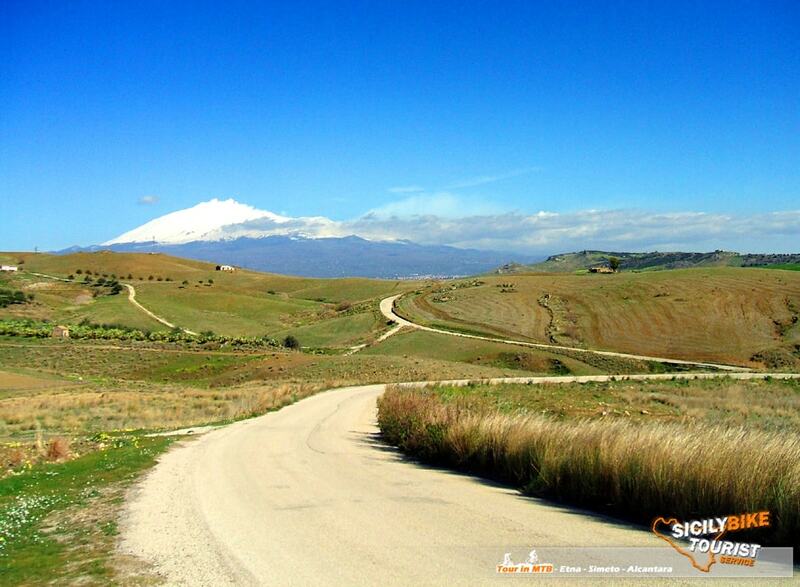 Stage 3: Etna (about 1.900mt altitude), Galvarina shelter, Adrano, Simeto River Valley and Catania. Km 95 (approx.) – Difference in height uphill 640mt (approx) – Difference in height downhill 2.500mt (approx). Small description: After the efforts of the first stage, and the second stage (according to the solution adopted)) the third stage will leave you breathless… from Etna, through its park, we will go down off the south west slope of the volcano, between landscapes and Trail really unique, all up to the town of Adrano, from there along the asphalt transfers, we will intercept the river Simeto, where other “Trail” await us and other scenarios will make it enjoyable and truly unforgettable this stage. Small description: Starting from the historic center of Catania, we will go from the shoreline towards Acireale, here they will not miss traits in pavé and with uneven ground, and then continue to ride between secondary roads and coasts, with small off-road sections, crossing in all relax, the small marine and tourist villages that border the Ionian coast, all up to Taormina. Stage 2: Giardini Naxos, Gaggi (Alcantara River), Calatabiano, Piedimonte Etneo and Milo. Km 40 (approx.) – Difference in height uphill 1.100mt (approx.) – Difference in height downhill irrilevant. towards the river Alcantara, using paved roads and off road, we will cross the river, enjoying its scenery and its impetuous spectacle, crossed the river… we will go towards Milo, and here the stage will begin to take substance, and the real first differences in height will take shape… this is definitely the first stage of the tour that will put you to the test, but the beauty of its streets lined with vineyards and from small entrances in pavé and off road, surely you will forget the effort. Stage 3: Milo, Zafferana Etnea and Etna – Silvestri craters (altitude 1.900mt). Km 25 (approx.) – Difference in height uphill 1.500mt (approx.) – Difference in height downhill irrilevant. Small description: The game will be really hard… but you want to put the satisfaction at the end of the stage? 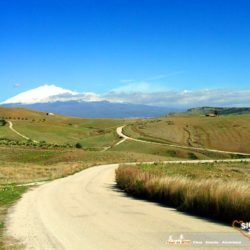 Do not be fooled from just 25km of the stage, because starting from the structure that will host us, near Milo, we will go to the conquest of the winding streets and of the lava unpaved that climb up the southeastern slope of the Etna volcano. 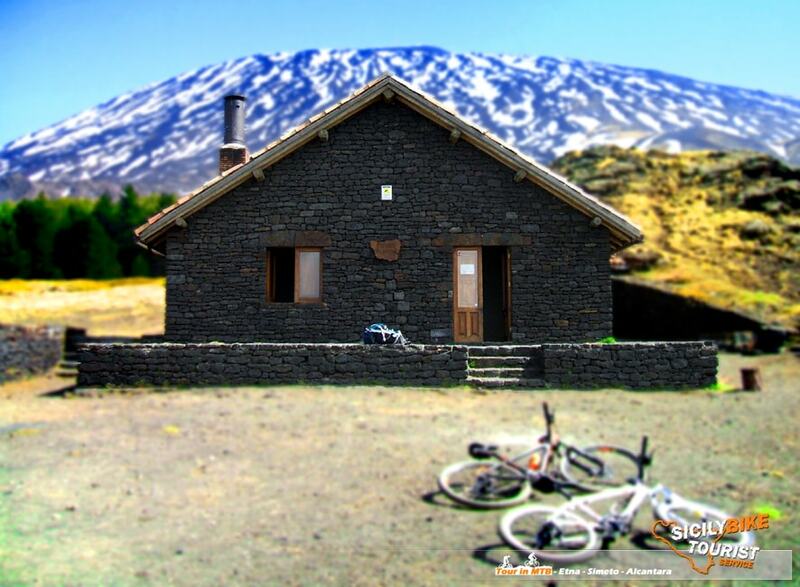 Stage 4: Etna (altitude about 1.900mt), Galvarina shelter, Adrano, Simeto River Valley and Catania. Small description: After the efforts of the second and third stages, the fourth stage will leave you breathless… from the Etna, through its park, we will descend on the off road along the southwest slope of the volcano, between landscapes and Trail really unique, all up to the town of Adrano, from there along the asphalt transfers, we will go to intercept the river Simeto, where other “Trail” await us and other scenarios will make it enjoyable and truly unforgettable this stage. Small description: Starting from the historic center of Catania, we will go from the shoreline towards Acireale, here there will be traces in pavé and with uneven ground, to then continue to ride between secondary roads and coasts, with small entrances off-road, crossing in all relax, the small marineand tourist villages that border the Ionian coast, all up to Taormina. 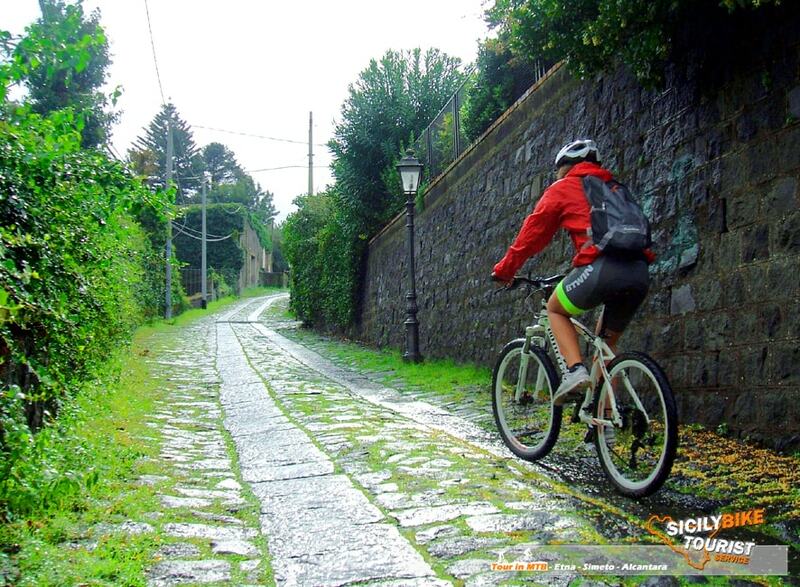 definitely the first stage of the tour that will put you to the test, but the beauty of its streets lined with vineyards and small entrances in pavé and off road, surely you will forget the effort. Small description: The game will be really hard… but you want to put the satisfaction at the end of the stage? 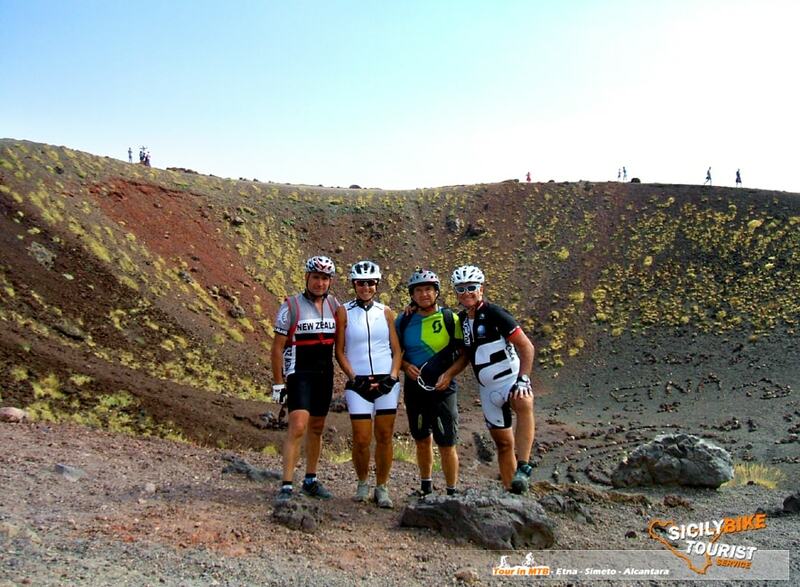 Do not be fooled from only 25km of stage, because starting from the structure that will host us, near Milo, we will go to conquer the winding streets and of the lava unpaved that climb up the southeastern slope of the Etna volcano. Stage 4: Etna (about 1.900mt), Galvarina shelter , Ponte dei Saraceni (Adrano) and Catenanuova. Small description: After the efforts of the second and third stage, the fourth stage will leave you breathless… from the Etna, through its park, we will go down on the off road along the southwest slope of the volcano, between landscapes and Trail really unique, all up to the town of Adrano, from there along the asphalt transfers, we will go in the direction … Ponte dei Saraceni, where other “Trail” await us and other scenarios will make pleasant and truly unforgettable this stage, all up to the town of Catenanuova, where we will stop for the night. 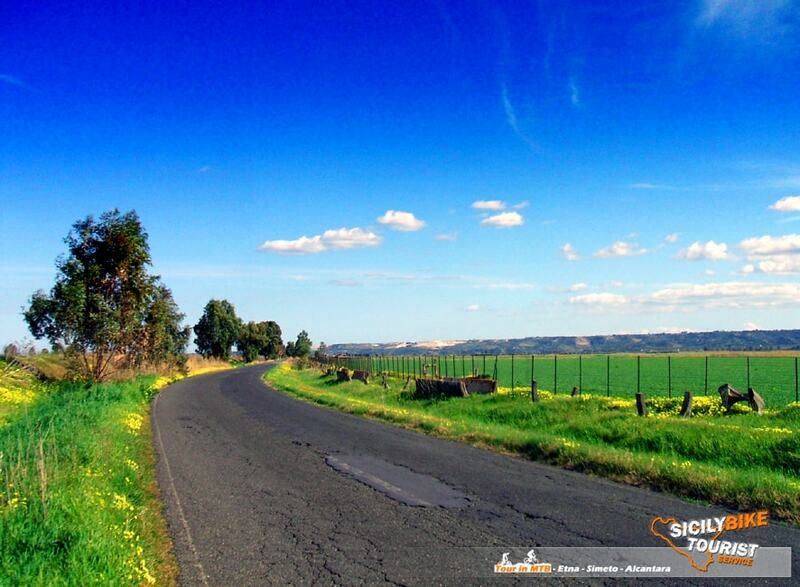 Stage 5: Catenanuova, Sferro, Simeto River Valley and Catania. Km 70 (approx.) – Difference in height uphill 145mt (approx.) – Difference in height downhill irrilevant. 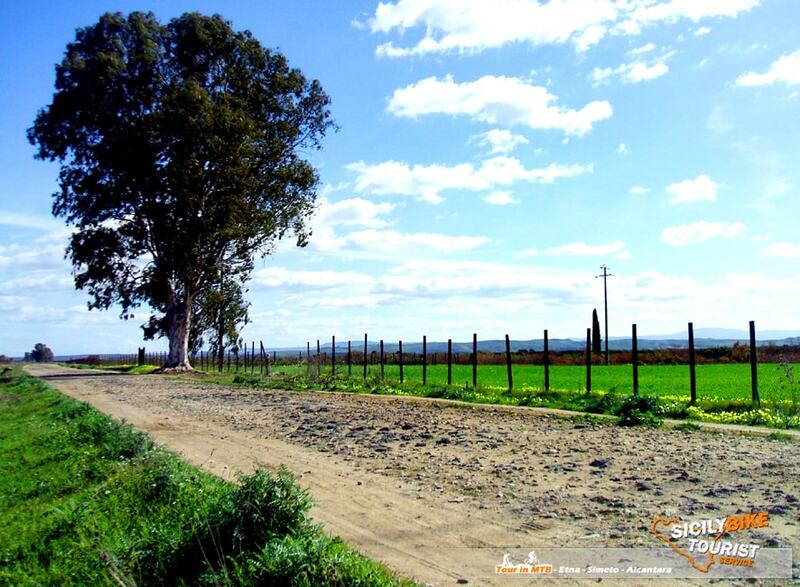 Small description: 70km in the plains, between hills and cultivated fields, we cycle along the roads forgotten by time, between old roads and dirt roads, surrounded by Sicilian colors…we will relax and enjoy the last stage of this wonderful adventure.This is the Valley of the river Simeto…an explosion of colors dating back to a far past. Small description: Starting from the historic center of Catania, we will go from the shoreline towards Acireale here there will be traces in pavé and with uneven ground, to then continue to ride between secondary roads and coasts, with small entrances off-road, crossing in all relax, the small marine and tourist villages that border the Ionian coast, all up to Taormina. 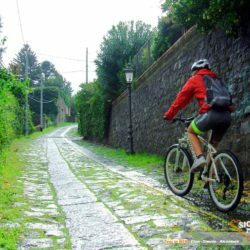 will take shape… this is definitely the first stage of the tour that will put you to the test, but the beauty of its streets lined with vineyards and small entrances in pavé and off road, surely you will forget the effort. Small description:The game will be really hard… but you want to put the satisfaction at the end of the stage? 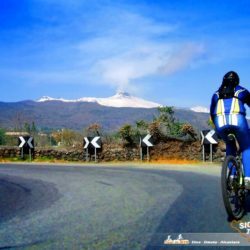 Do not be fooled by just 25km of stage, because starting from the structure that will host us, near Milo, we will go to conquer the winding streets and of the lava unpaved that climb up the southeastern slope of the Etna volcano. Stage 4: Etna (about 1.900 km), Galvarina shelter, Ponte dei Saraceni (Adrano), Castle of Poira and Paternò. Small description: After the efforts of the second and third stage, the fourth stage will leave you breathless… from the Etna, through its park, we will go down on the off road along the southwest slope of the volcano, between landscapes and Trail really unique, all up to the town of Adrano, from there along the asphalt transfers, we will go in the direction… Ponte dei Saraceni, where other “Trail” await us and other scenarios will make pleasant and truly unforgettable this stage, which in the trail to Paternò it will also allow us to visit the ruins of the Castle of Poira, where postcard landscapes will delight a short stop.Overnight near Paternò. Stage 5: Paternò, Simeto River (from Ponte Barca to the estuary) and Catania. Road Type: 20% Road – 80% Off Road, Pavè, Dirt and Gravel Road. Small description: 50km between the valley and the embankments of the Simeto river, between hills and cultivated fields, we will pedal for most of the off road stage,along the banks of the largest river in Sicily.Arrived at the mouth, we will stop for a break, before starting the bike along the asphalt road that connects the Simeto to Catania. 1-We reserve (during the Tour) the ability to change kilometers and differences in levels of the various stages, to make them lovable (where possible) to all our guests. 2-It may also be necessary, based on availability of the various structures, change slightly the itinerary of the individual stages and consequently, could vary mileage and gradients. IMPORTANT: All the TOURS listed above, are to be considered challenging (naturally in proportion to the chosen tour: 2/3/4/5 stages),therefore is required a physical and cycling preparation suitable to situations of excessive effort, due to the kilometers and to the important differences in height of some stages. All the first stages of the tours previously listed, have as a departure our Catania office. All the last stages of the tours previously listed, have as arrival our Catania office. In case of departure or arrival in locations other than Catania, agreements and estimates on request. Time of departure and arrival stages: Departure 8:00/8:30AM – return expected (where possible) for lunch time, but everything obviously depends on the subjective capabilities of customers, and the peculiarities that each stage offers. to your needs and abilities. 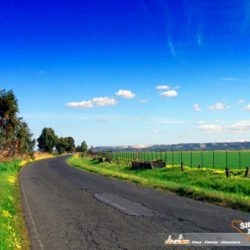 We also remember that it is possible, by varying mileages and gradients, to perform the same stages in a total road solution, in order to make the various tours more lovable to road bike enthusiasts. in complete safety along the various paths on road and off road used for the various stages, carrying with it a mechanical first intervention kit (small mechanical interventions, included the punctures),first aid kit, GPS and maps. The guide, if necessary, during the stages…can choose to change(where possible) mileage and degree of difficulty (using various alternatives, more or less demanding), all to try to make the most appropriate stages to the degree of preparation (technical / physical) of the customer. from a professional, it is always better than a single and simple GPX track. Lunch during the stages: It will be possible for the client to decide on the various options for a lunch break.Based on the stages and time available, there will be a way to plan the various solutions. packed lunch with sandwich and fruit, never banal take away along the stage with typical Sicilian specialties, stop at the end of the stage in one of the many Sicilian trattorias, the choice is yours! All the dining solutions are to be considered EXTRA. Free time, breakfast, dinner and overnight: After the stage all participants will have free time to spend independently, visiting the places that characterize the various stages or take advantage of the various services (Extra) that accommodation facilities offer. 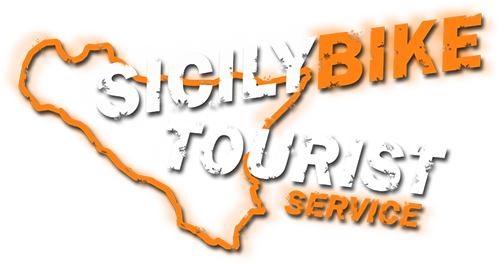 It is possible to manage, in the booking phase, the alternatives that Sicily Bike Tourist Service can offer you. must be paid directly to the accommodation. Lunches and dinners (where provided) must be paid at the end of the meal. We prefer to use this system in order to make everything as transparent as possible. Of course it will be our care to reserve for you everything related to board and lodging. 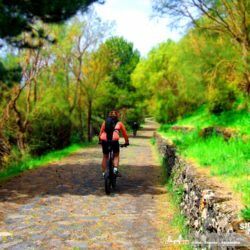 *Tours “INCLUDE” at each stage: Certified Cycling Accompanist, luggage transport from structure to structure(we guarantee the transport of a only baggage to a participant, unless otherwise agreed in the booking phase) and RC insurance coverage. 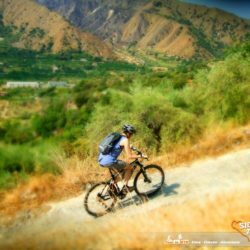 For these Tours in the formula proposed by us (on road/off road), we recommend the use of: Mountain Bike, Gravel Bike and Trekking Bike, in the case of Total Road solution, they are good for the classic bicycle touring bikes or the more sporty bikes racing. If you want to take advantage of our bikes, the cost per person is € 15.00** (for each day) and includes: MTB muscle bikes (26/29er, tailored and flat pedals), Water 1L (for each stage), Energy drink 500ml (for each stage), 1 Snack (for each stage). They are included in the bike service, but only if requested when booking: Helmet, Backpack, K-Way. Possibility to mount their own pedals on our bikes before the start of the tour, and only on request our SPD pedals (the request must be made during the booking). It is to be considered EXTRA everything that is not included in the entries: INCLUDE/INCLUDES. These tours can be carried out exclusively during the period from March 26th to October 27th, excluding the month of August. To book the Tour you need “minimum” 30 days notice, check availability at the various accommodations, you will be given confirmation. – To complete the booking it is necessary to pay a deposit by bank transfer in our favor equal to 30% of the total amount. In case of postponement of the tour by the customer to a new date (for illness, unforeseen work, etc… etc) the communication must be received by email no later than 10 days before the tour, in order not to lose the deposit already paid (except for problems with accommodation facilities), we will naturally make sure to find a new date for your needs. There is no form of discounts for this type of Tours.